March 6 from 6-8 p.m.
Drop by to voice your concerns and input for the upcoming negotiations this fall. We want to brainstorm ideas and topics for negotiations as well as for upcoming CE topics our nurses would like to see provided over the year! What's been going on in our local unit? 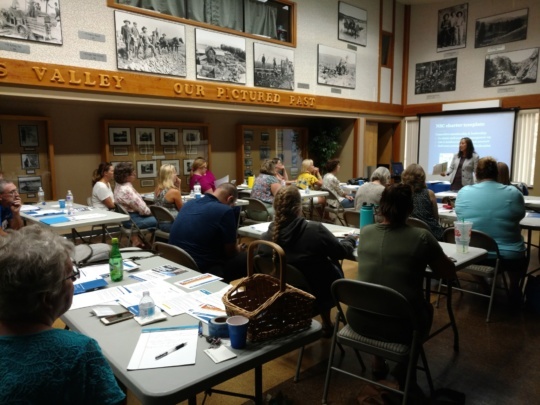 We’d like to thank all our members who took the time to attend our CE presentation last August discussing Safe Staffing. 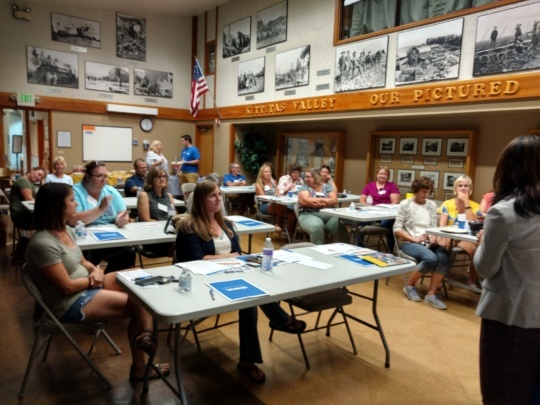 We had an awesome turnout, enjoyed dinner from Ellensburg Pasta Company and would like to thank our WSNA reps who traveled to educate us! We have been able to work with the administration in developing standard work and a new staffing complaint sheet in order to comply with the new laws and better the system of logging and monitoring staffing complaints. Please see the information emailed to you previously or check out the intranet for this updated form/process. You can also find blank staffing complaint forms in the WSNA box in the KVH mailroom! Please mark your calendars and join us for our new year Dessert Social at Parkland Condominiums (southwest corner of the KVH employee parking lot) on March 6, 2019 from 6-8 p.m. Drop by to voice your concerns and input for the upcoming negotiations this fall. We want to brainstorm ideas and topics for negotiations as well as for upcoming CE topics our nurses would like to see provided over the year! Are you somebody who’s interested in the political side of nursing? We are looking for members to attend Nurse Lobby Day in Olympia. It is on Feb. 28 and consists of a morning education session and an afternoon legislation session to push policies and bills. Please contact one of the local unit officers regarding funds available to help cover cost and travel. Negotiations and then new officer elections (at end of negotiations) will be at beginning of 2020! We will also be providing another CE presentation next year, details to come. What does the public value most about members of our profession? The answer, in part, is our professional nursing ethics. Honesty, integrity, accuracy, knowledge, kindness, mercy. All of these add up to quality patient care –but how can we achieve quality patient care? 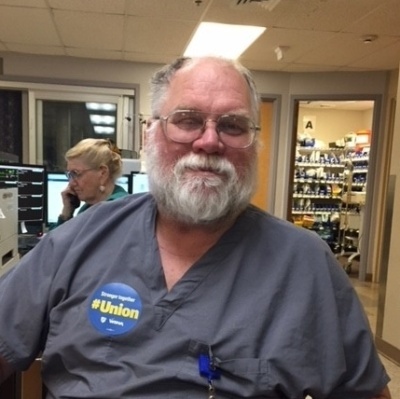 For many years WSNA has been fighting battles to ensure safe staffing, a collective voice in the workplace, improved benefits and working conditions, and recognition in Olympia for all RNs and the difficult job we do. But who is WSNA? WSNA is YOU. Have you ever asked yourself, where is WSNA and why don’t they do something? Attention colleagues and co-workers—we are WSNA and we must do something! Get involved, shake things up and stand united. 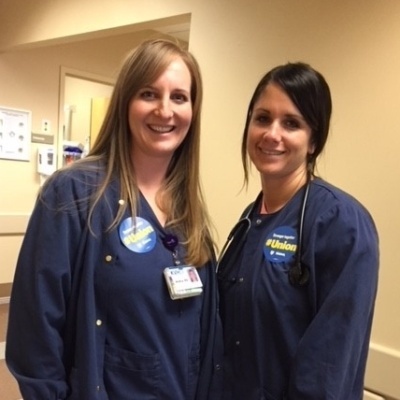 Together, nurses can accomplish anything. 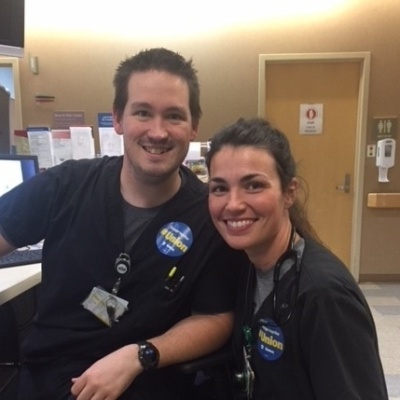 When we stand up for our profession as a united group, we promote our values and educate others about our love for, and commitment to, our patients. “How can I do anything? I am only one person,” you might ask. You are not alone! You are standing with many other nurses in our profession, throughout the state of Washington. Help and support are multiplied by hundreds when you are part of our professional association and union. First steps are to GET INVOLVED. 3. Make it your goal to stay updated on negotiations (Fall 2019). Talk with our negotiation team and ask one of us what you can do to help. We need your input and support! A survey will be sent out in the spring of 2019. Please complete to make officers aware of your concerns or changes you’d like to see on our next contract. It’s that simple. Getting involved gives you a voice in the decisions being made. We welcome your ideas and concerns. Seasons change and temperatures rise and fall. Leaves are fresh and green, then they turn red and gold, and finally, a new season begins. Change is good. Without change, new life would not reappear every spring! But times are changing too and it can be unsettling. So, we must adapt and overcome! Hospitals are being run the way big businesses are run. Yet we know our patients are not commodities, nor are we working on an assembly line. We cannot care for our patients effectively when we are being expected to work too many hours, take intermittent breaks and function in areas we have not been adequately trained to function in. Organizing our peers is a vital task. 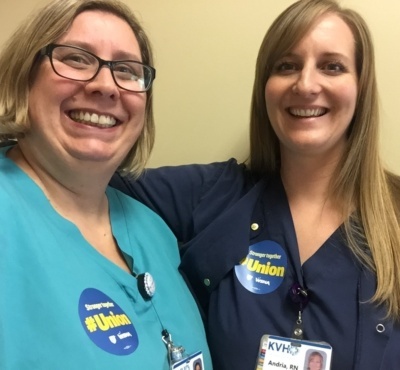 We, as individual nurses, must reach out to our co-workers, find out what they are concerned about, explain to them how WSNA is the answer to their concerns, then ask them to join, step up and get involved. In this way, we become collectively strong, and the more members we have, the stronger we are. How would a hospital even operate without the many roles we fill? We are valuable and vital—never doubt your worth. Go forth and tell your peers. Safe nurse staffing has been a WSNA focus and concern for many years. We have been working diligently to improve contract language regarding nurse staffing in each contract, as we know safe staffing is tied to adequate breaks and lunches, nurse job satisfaction, recruitment and retention of nurses, and primarily, SAFETY for nurses and patients. “All hospitals, including state hospitals for the mentally ill, are required to establish a nurse staffing committee, which may be a new committee or an existing committee assigned to those functions. At least half of the committee members must be registered nurses providing direct patient care. Employee participation in nurse staffing committees must be on scheduled work time and be paid at the appropriate rate of pay. “Safe nurse staffing is essential to delivering high-quality care to patients,” said Governor Jay Inslee. “This bill is the result of hard work and collaboration by legislators, hospitals and nursing organizations. I am pleased to sign this legislation into law." The Patient Safety Act, which updates the 2008 nurse staffing law, was a joint effort between nursing groups (i.e. WSNA) and the Washington State Hospital Association. This effort will strengthen nurse staffing committees and staffing plans for nurses in hospitals across the state. Requires that the committee takes into account the needs of patients as a primary component in addition to hospital resources and finance when developing a plan and that facilities have control over changes in the plan. Allowing nurses to file complaints with the hospital’s staffing committee and/or the Department of Health if the staffing plan isn’t followed and requires that DOH investigate documented complaints. If a hospital fails to correct a substantiated violation, DOH can impose a civil penalty of $100 per day. So, what can you do now to help our cause? 1. Support the Safe Staffing Committee members by keeping them informed of issues that come up in each unit by filling out a complaint form, in a timely manner, to be presented at the monthly safe staffing meetings. These complaints will be discussed and “accepted or dismissed” and then marked “resolved or unresolved.” Our safe staffing committee will be tracking these complaints in order to take further action. 2. Volunteer to be a part of the safe staffing committee by contacting one of your local unit officers. We prefer to have a diverse group with representation from every department in the hospital to encompass varying points of view and different issues to be addressed. You can be a very important voice and have a real say in how your unit is staffed! The law requires at least 50% registered nurses providing direct patient care to hospital administration for committee membership. 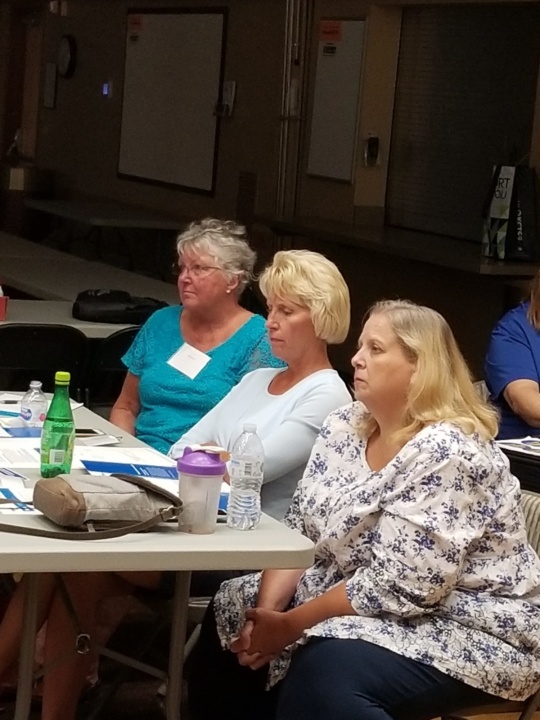 The current members of KVH’s safe staffing committee are Home Health and Hospice Cindy Knight, Med/Surg-CCU Kathy Honeysett, ED Rachel Drummond, OB Angie Seim, SOP Lynn Pownall, OR Kay Greenwood and local unit officer’s Jenn Crane, Andria Graham and Cody Staub. We hope you all had a happy holiday season and are looking forward to a successful 2019! Please welcome WSNA Nurse Representative Carmen Garrison, BSN, RN. Carmen will be taking over all new issues as they arise at Kittitas Valley Healthcare. I will finish up most of the outstanding matters to their conclusion and assist Carmen in the coming months, as needed. It has been a pleasure working with all of the Kittitas RNs. I am continuing my work here at WSNA as a nurse representative with a few new assignments. I will miss the Kittitas nurses but know you will be in good hands with Carmen. All bargaining unit nurses who are interested in learning more about improving our staffing conditions should plan on attending this event. The better understanding we have of the new laws and our rights, the stronger our voice becomes to make our hospital a better place for our patients and nurses. 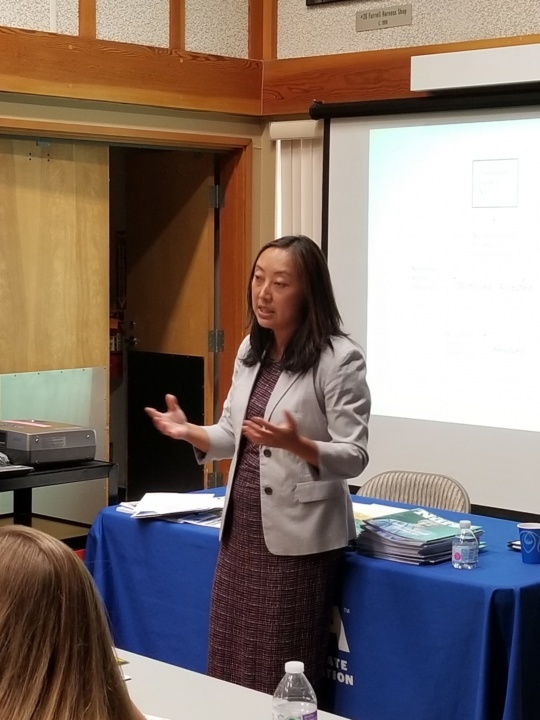 We will be offering 2 CEs for this special educational session taught by Senior Director of Strategic Initiatives Anne Tan Piazza and Director of Organizing Tara Goode. Bring a coworker and come enjoy great food and great information! When: Wednesday, Aug. 15 from 4-7 p.m.